You should know the concrete mixing station practical skills - you know what?-Zhengzhou Zhenheng Construction Equipment Co., Ltd.
You should know the concrete mixing station practical skills - you know what? Before one decide to engage in construction business such as starting a concrete batching plant, there are many things he/she will think about: area, materials source, investment, worker, efficiency and so on. As a professional construction equipment manufacturer established in 1982, here are something we want to share for a good beginning of concrete business. Mostly, for the raw materials, a concrete batching plant needs sand, stone such as supply equipment which is through belt conveyor and hopper and weighing device. You can select 10m or 15m belt conveyor or special length according to the terrain and layout of the concrete mixing station. Another important material is cement. This needs a suitable cement supply equipment in concrete mixing plant site. Cement is a powdery hydraulic cementing material, it must be sealed and waterproof during placement and transportation. At present, the most widely used cement supply equipment is screw conveyor. Once we prepared different kinds of materials, how to weighing? 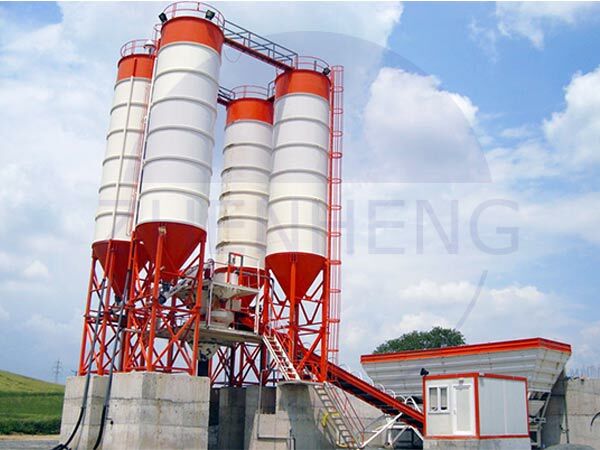 We need to select a suitable dosing, measuring equipment for the concrete mixing plant. In order to ensure meeting the technical requirements, all kinds of materials must adapt the material dosing equipment to measuring. Material measuring equipment is consist of the feeder and weighing device, the feeder is given a uniform effect which is our concrete batching machine PLD/PLB series. Copyright © 2016 Zhengzhou Zhenheng Construction Equipment Co., Ltd.